My mom made Teriyaki Chicken for dinner once, with a side of Caesar Salad. I don’t know what put it in her head, but she put her chicken on top of the salad and bam! My view of a Caesar Salad will never be the same again! This is such an amazing combination, you just have to try it! Combine the ingredients for the teriyaki sauce in a frying pan and stir until the sugar is mostly dissolved. Add the chicken pieces and cook on medium-high, until the chicken is no longer pink. Drain the excess sauce. 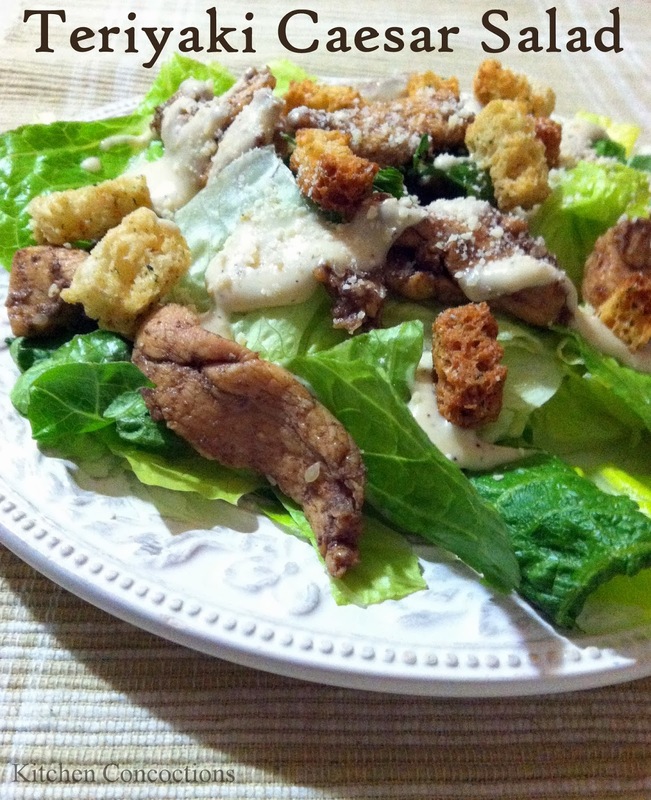 Make the Caesar Salad Kit in a bowl, and top with the chicken strips.